The Pat Wildman Adventures - Part of the Wold Newton Mythos: New Pat Wildman news - THE SCARLET JAGUAR! 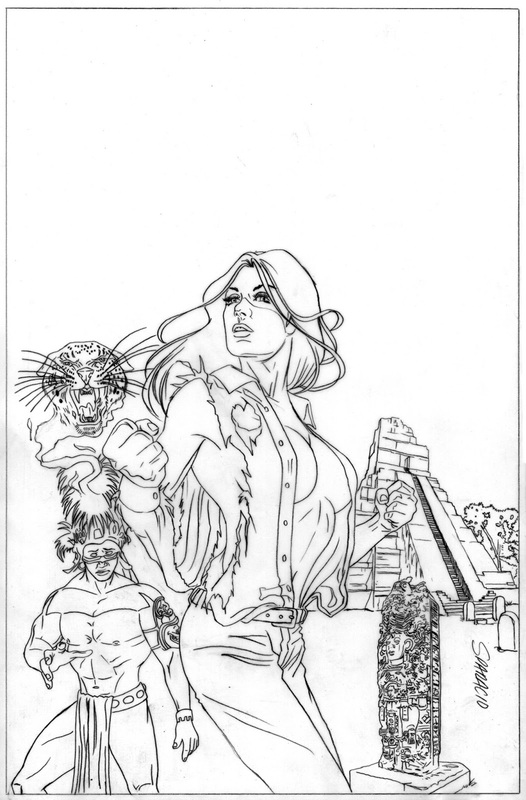 New Pat Wildman news - THE SCARLET JAGUAR! Announcing Pat Wildman in ... The Scarlet Jaguar! I'm pleased to announce that Meteor House has picked up my next novella, a Pat Wildman adventure which is a sequel to The Evil in Pemberley House (by Philip Jose Farmer and me). Fully authorized by Farmer's estate, the book will sport a cover by the accomplished Mark Sparacio, an artist with pulp creds who definitely knows his way around illustrating adventurous women! Meteor House is taking preorders now!